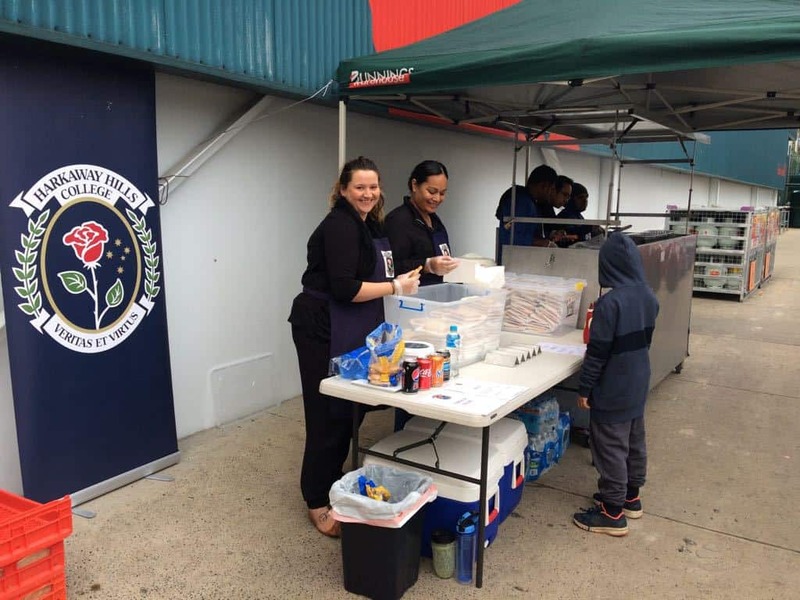 Fundraising Activity – a sizzling success! Everyone loves a sausage in bread on a chilly winter’s day, well so it seems! 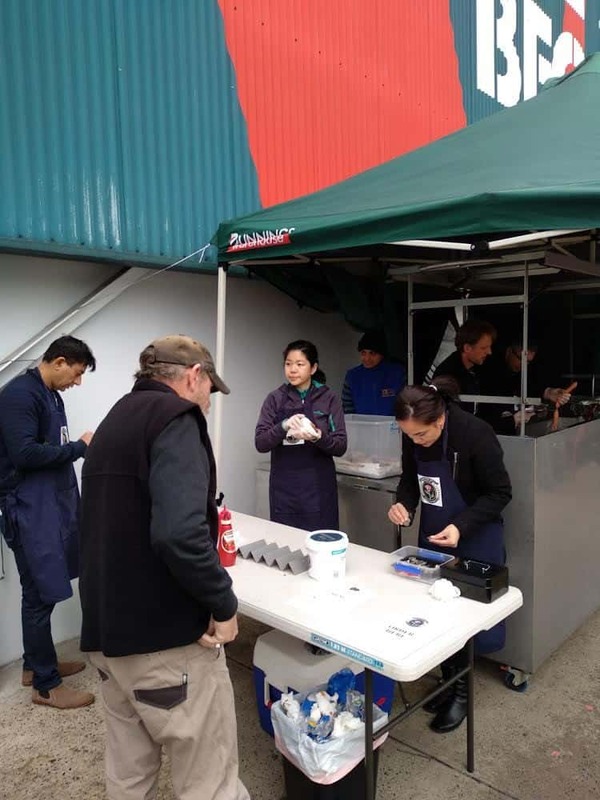 Harkaway Hills College held a very successful fundraising event at Bunnings Fountain Gate on Saturday 23rd June. 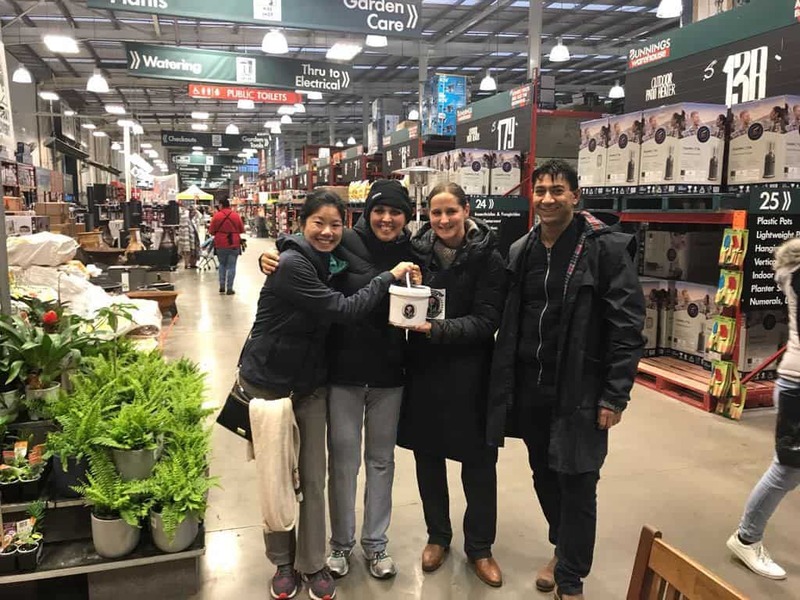 Preparation began in September last year with a letter requesting a much sought-after spot at the ever-busy Fountain Gate Bunnings store. Local vendors were canvased for support and we gratefully received vouchers from Coles and Woolworths valuing $170. 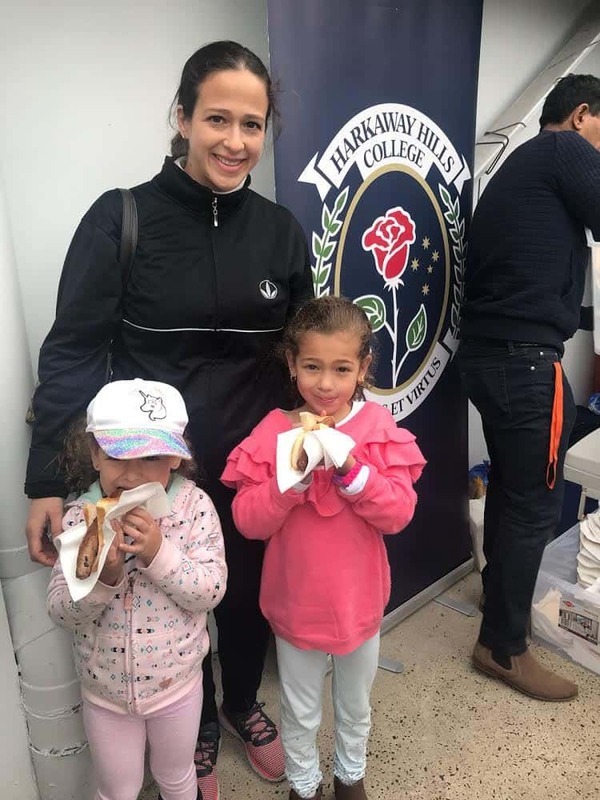 Marcos IGA in Narre Warren North were most gracious in providing their tasty beef sausages at a discounted price and generously donated 40 loaves of bread! The Harkaway Hills banner featured prominently at the stall as did the handmade logo-imprinted aprons (thanks Natalie Everard) worn proudly by our volunteers. 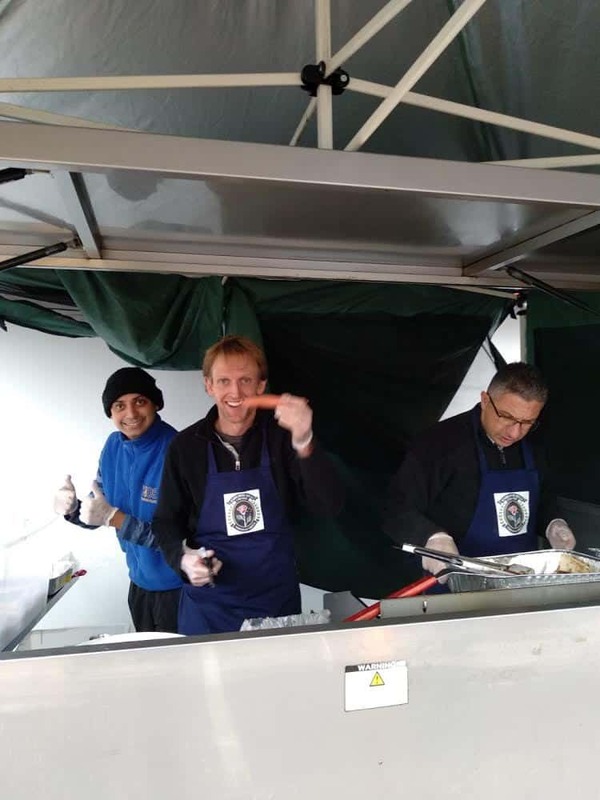 During each of the two hour shifts five to six Harkaway Hills parents and friends busily cooked and served, to cover the day from set up before 8am right through to the final clean up at 5.30pm. 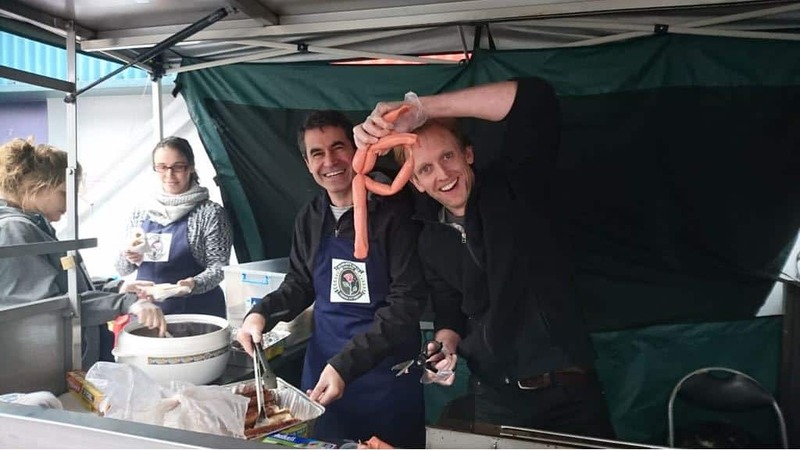 Sausages flew off the hot plate at a frenetic pace, reaching around 200 per hour during the lunchtime peak! We hope the VIP customers (Principal Frank and Chairman of the Board Damien) were satisfied with the efficient and friendly service. All in all, it was a memorable day and truly demonstrated the spirit of the Harkaway Hills College community. We’d like to express our deep gratitude to Coles Endeavour Hills/ Park Hill Plaza, Woolworths Fountain Gate /Park Hill Plaza, Marco’s IGA Narre Warren North and Beacky Fesh in Beaconsfield for supporting our fundraising effort. A special thanks to Dean Everard for writing up this post.